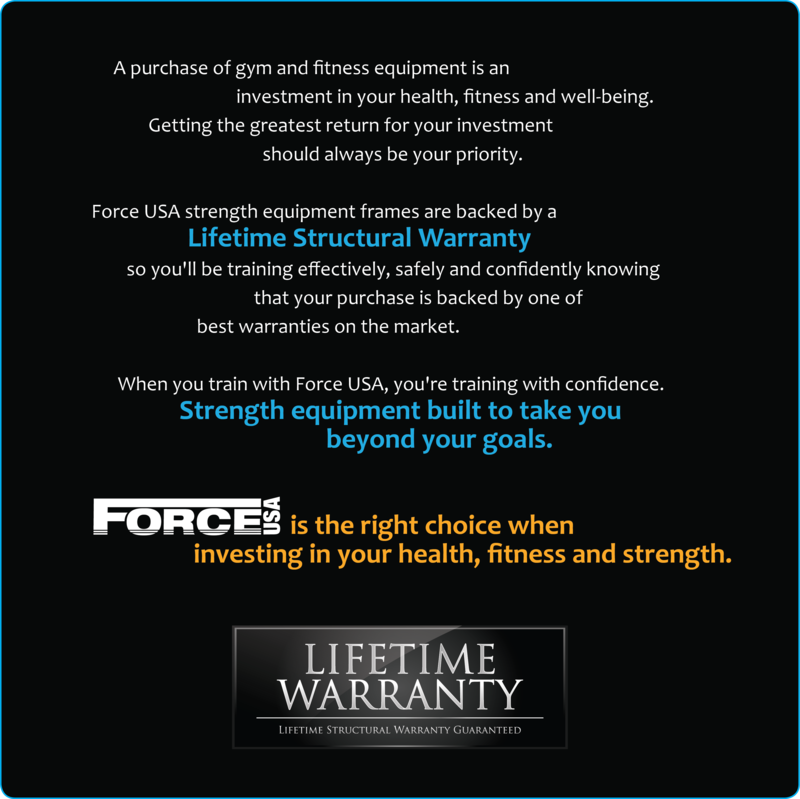 Want to start weight training? Struggling to get into the gym each day? 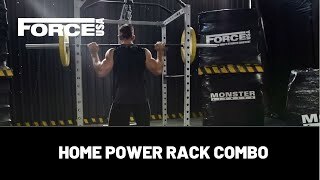 The Force USA Home Power Rack is ideal for someone looking to get started in weight training or simply want to have the ability to train at home - with space contraints and budget in mind, this is the rack for you! 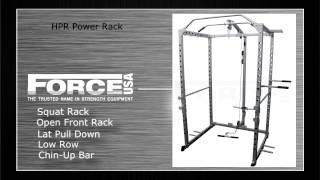 The rack comes standard with the lat pull-down option to help expand your workout possibilities. Start free weight training and incorporate cable exercises into your home gym workouts! 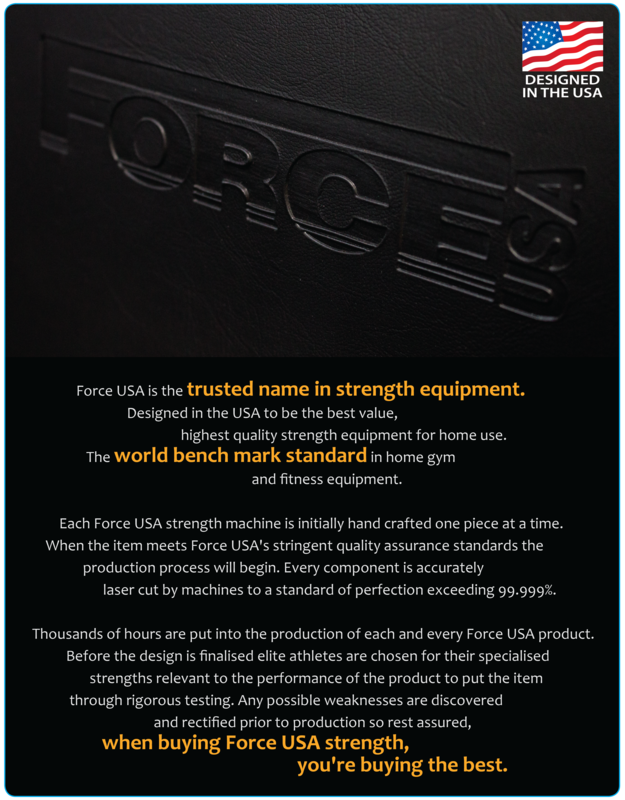 WHY CHOOSE THE FORCE USA HOME POWER RACK? Equipment came as described and was even higher quality than I anticipated. Minor issue with some tearing on the back of the bench, this was quickly and satisfactorily rectified by G&F, would purchase again.